Scotts Corded Electric Chainsaw is easy to use and it starts every time with no mess. It features a 16 in. Oregon bar and chain with a tool-free chain adjustment. An automatic oiling system keeps the saw lubricated so you don't have to stop working. 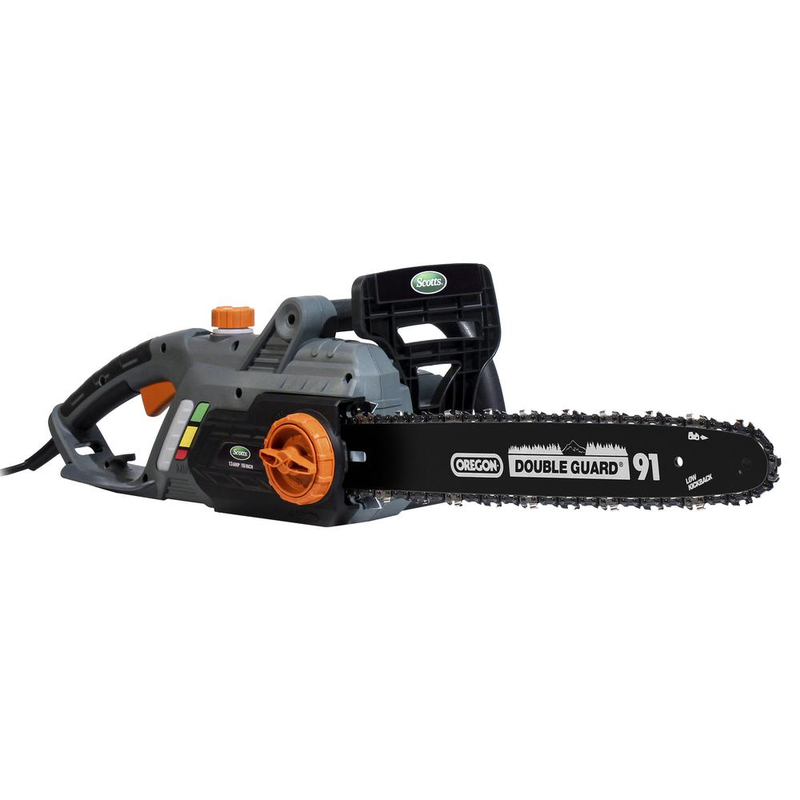 This chainsaw also has an oil level window, rubber over molded handle and includes a bar and chain cover for safe storage. No gas needed so there are no fumes, making for an eco-friendly job. 3-year warranty.